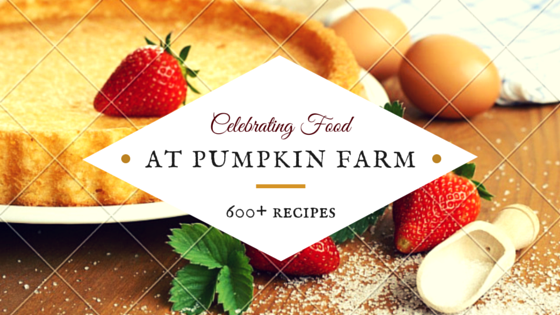 I ought to produce more pumpkin recipes considering my aspiration to own a pumpkin farm. Better late then.. I make the below salad many times and the variations are also umpteen. 1) In a fryin pan, add some oil and let it heat to smoking point. 2) Now quickly add (lightly) crushed garlic, and onion slices. 3) Sauté on high flame for a minute and then add the pumpkin cubes. 4) Add salt and cover the pan and let it cook on slow flame for 3-4 minutes. 5) Now open the pan and sauté until the pumpkin soaks up all oil and starts getting roasted. It should have golden/ brownish crust on at least one side of each cube. 6) Add the chilly flakes and stir. 7) Serve with croutons and chopped coriander. This can also be easily made in the oven especially when you are already baking something. Just slip in the ingredients mixed with oil in a hot / used pan that was recently used for baking. The pumpkin takes only 7-8 minutes to soften. Garnish and serve. Sending this to Vardhini's Halloween Fiesta. They look sooo good.. never tried roasting pumpkin.. hmm..